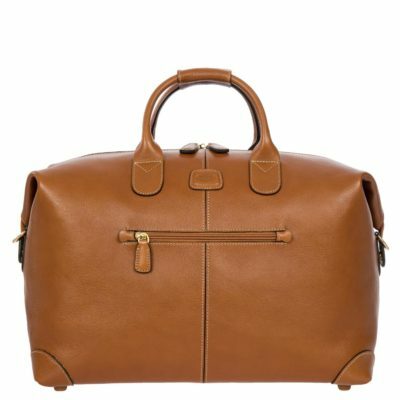 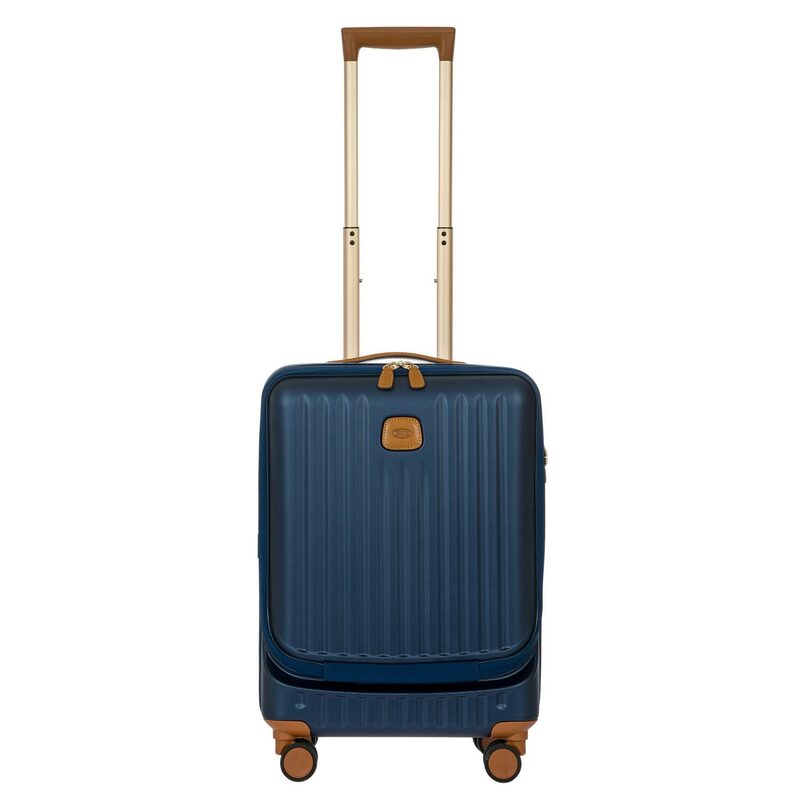 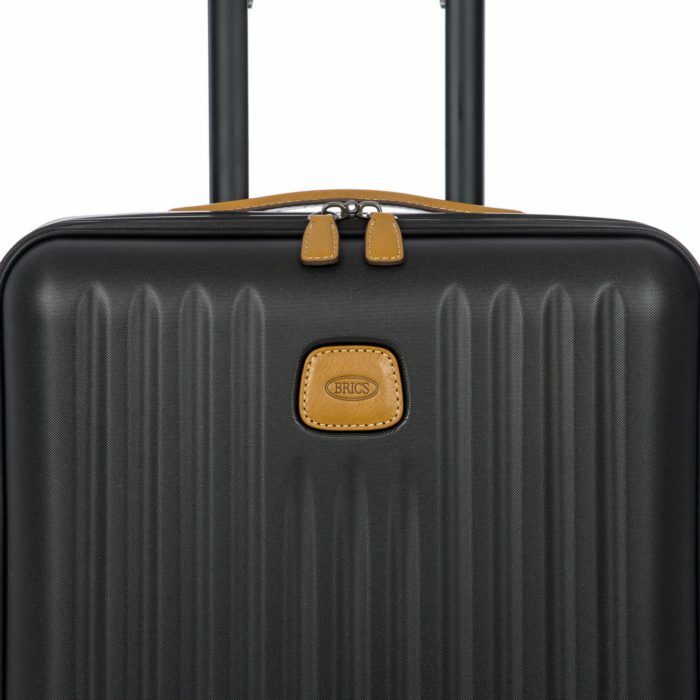 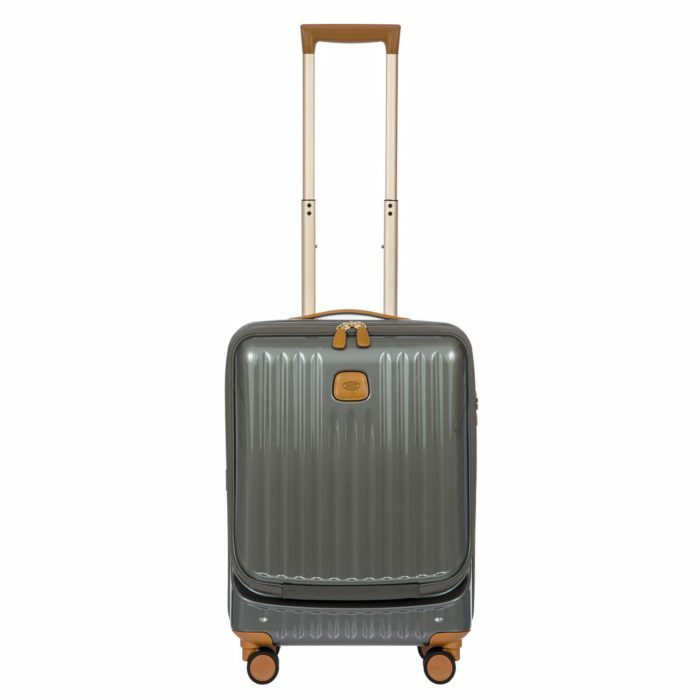 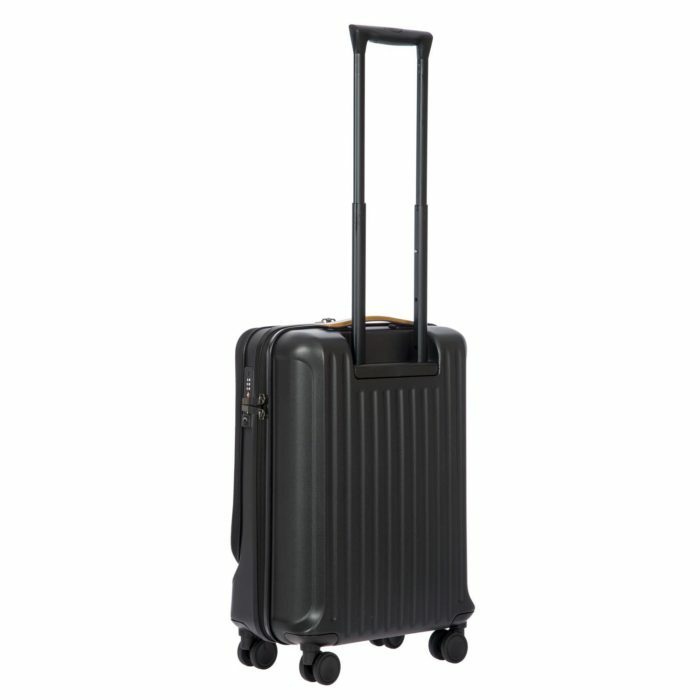 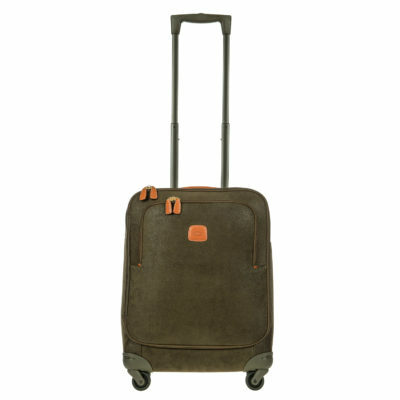 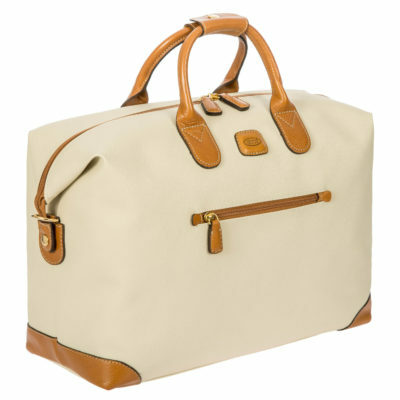 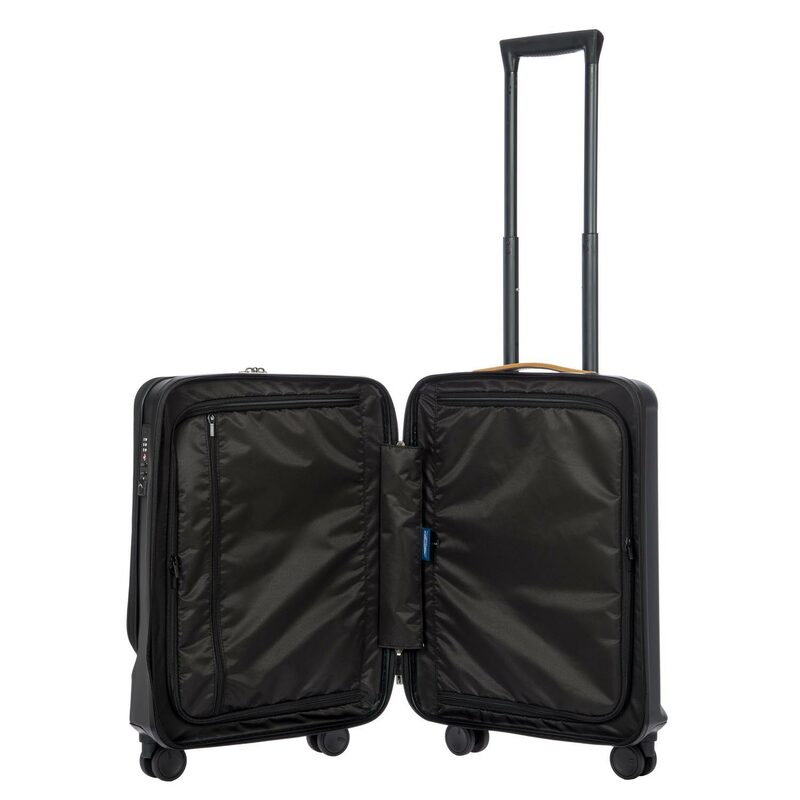 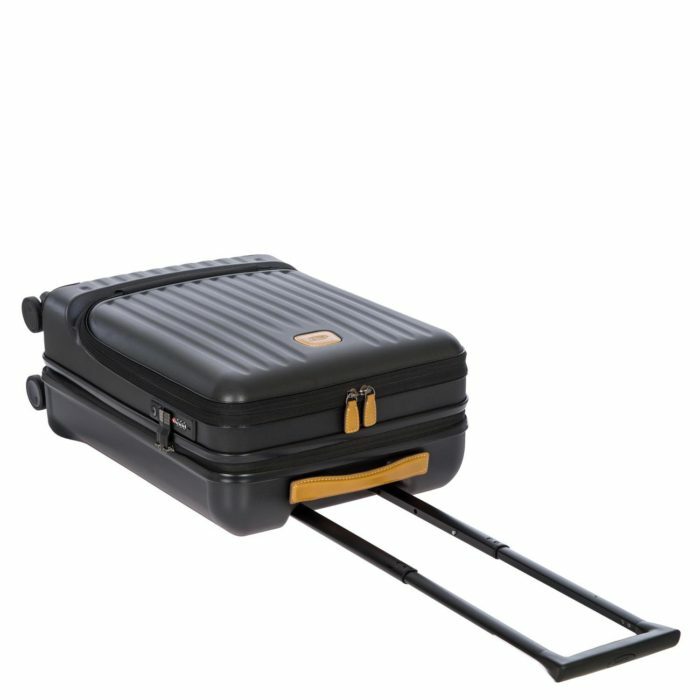 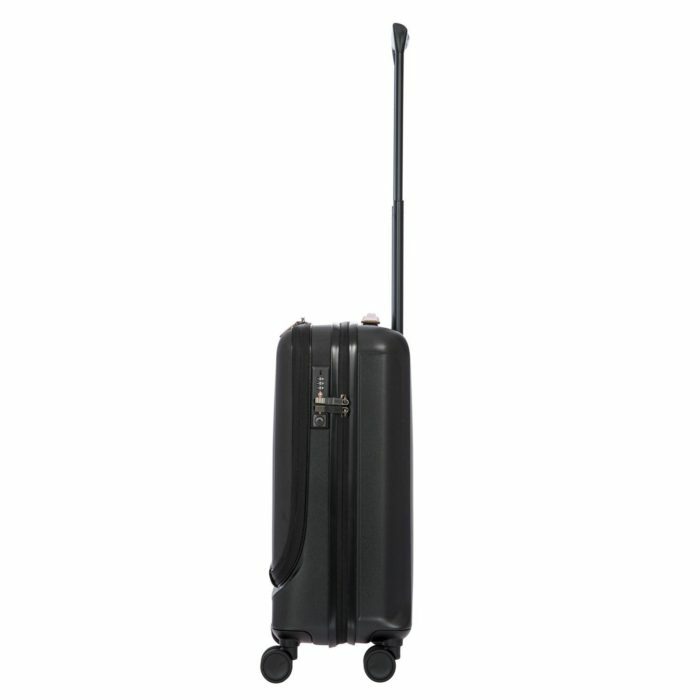 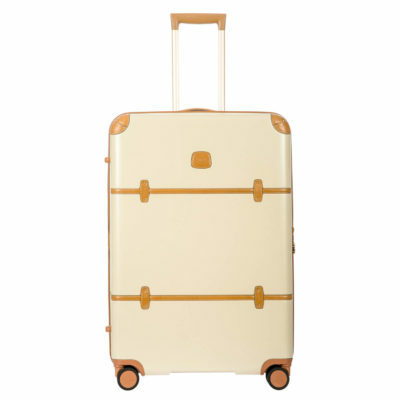 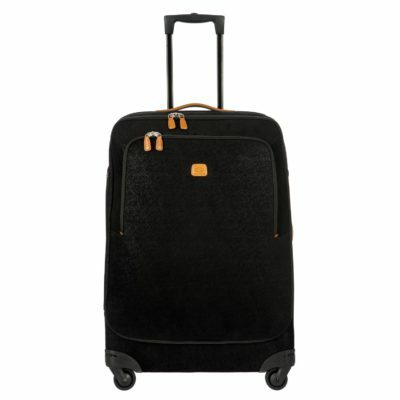 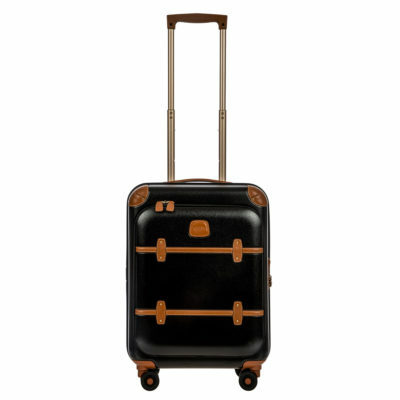 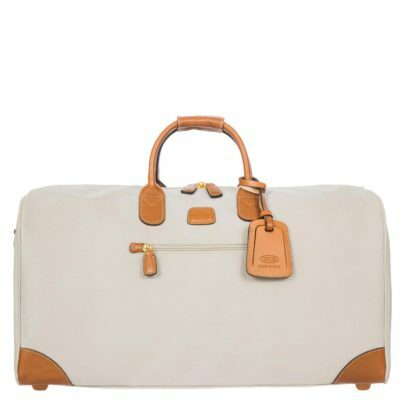 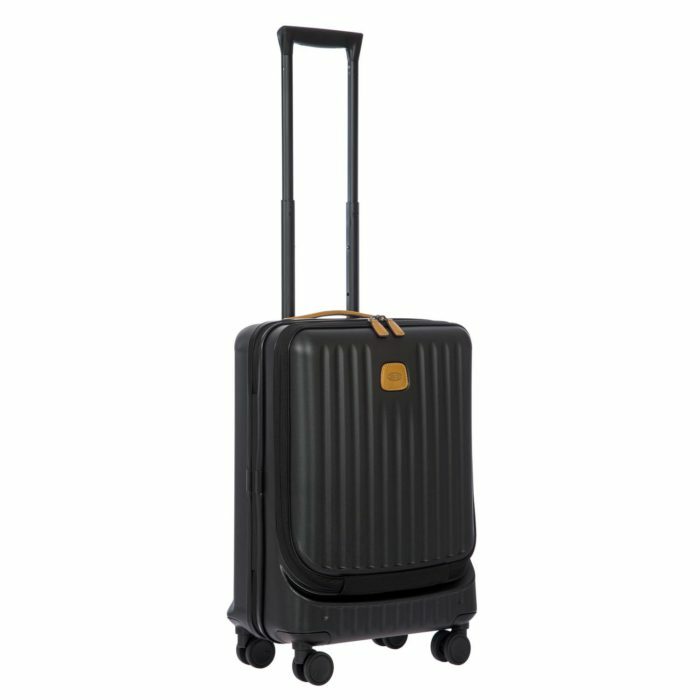 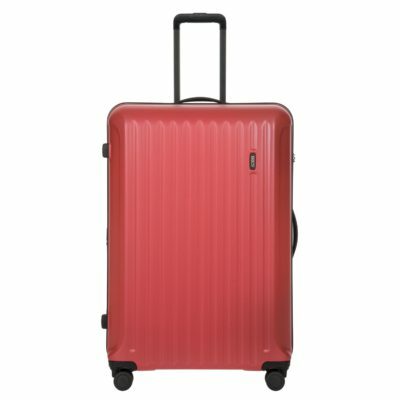 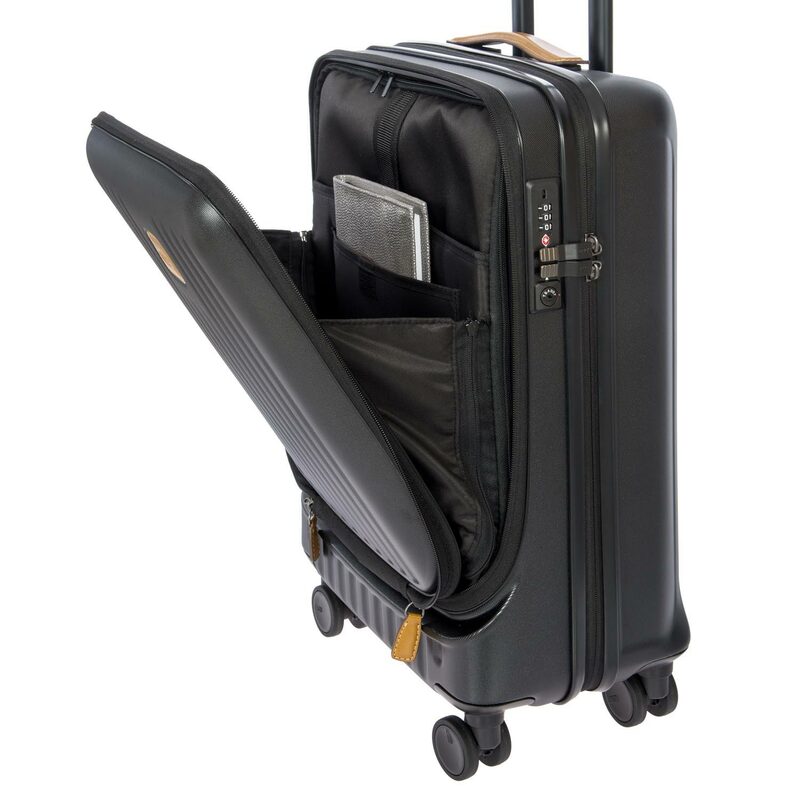 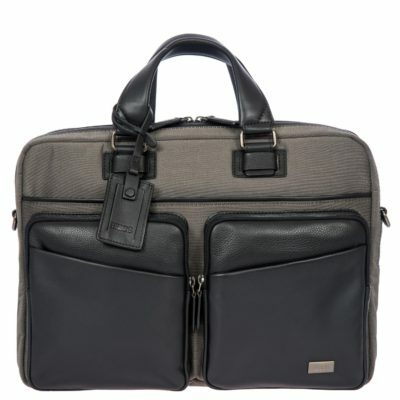 Capri hard case carry-on trolley with pocket on the front. 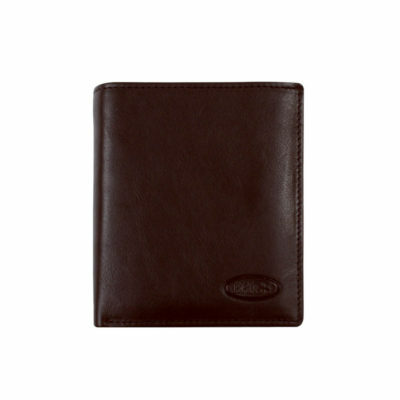 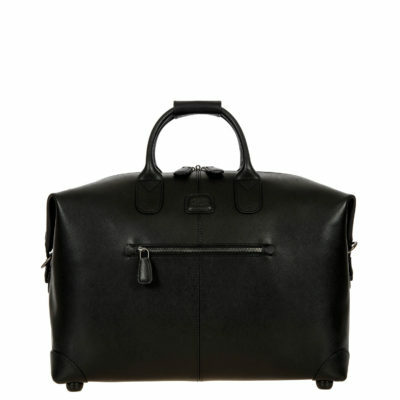 – EXTERIOR: polycarbonate shell, cowhide details with contrasting stitching. 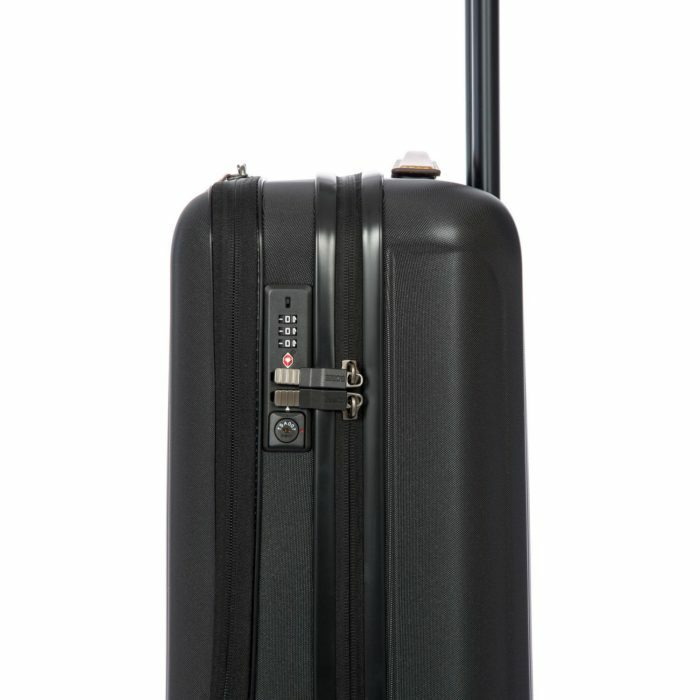 – HANDLES: pull-along handle with aluminium D-shaped tubes that are mechanically robust and stable with an ergonomic grip. 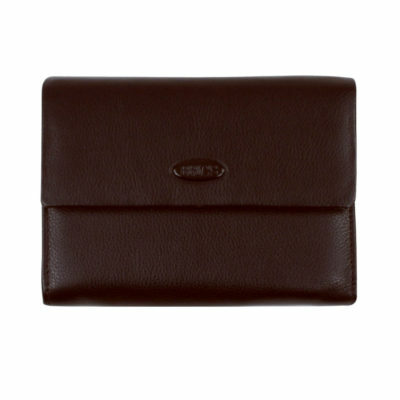 Leather top handle. 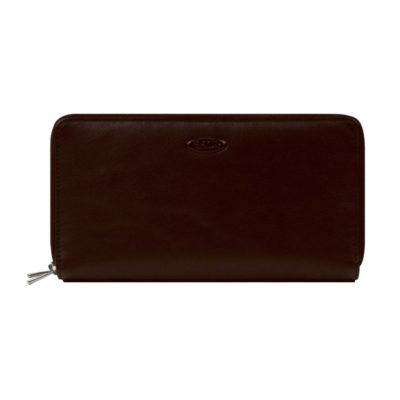 -CLOSURE: zip with TSA combination lock for the zip pull. 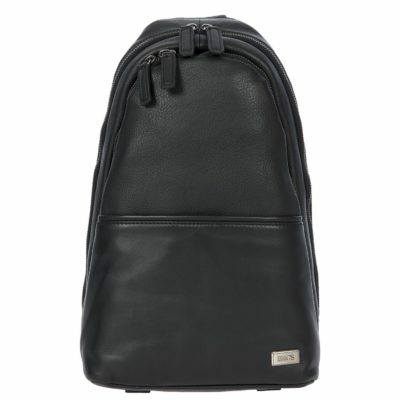 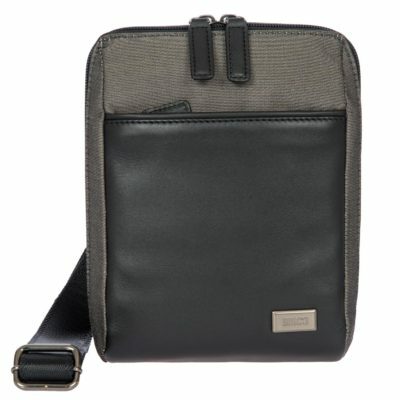 – INTERIOR: front compartment with zipped pocket, open storage pockets, PC and tablet compartments with Velcro safety strap; double zip for access to the main compartment, consisting of two compartments with zip fastening, the back one with polyester straps.